Here are the participating teams in the upcoming Shakey's V-League Season 8 Second Conference which will start on July 3, 2011, Sunday. Once again we will not see the University of Santo Tomas (UST) Lady Tigresses playing in V-League. They will not join in the 2nd conference. The DLSU Lady Archers on the other hand chose not to participate in the 2nd conference because they will concentrate in honing the skills of their new recruits. 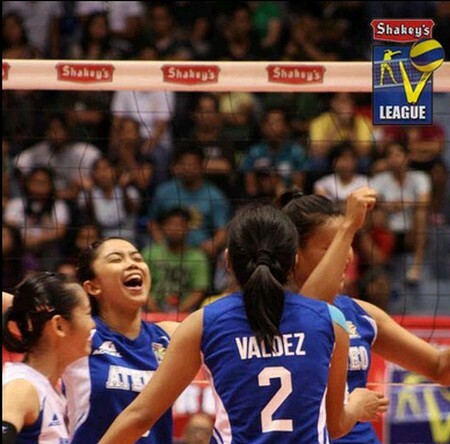 The Ateneo Lady Eagles, their rival, on the other hand will still be in the 2nd conference. They will field in their new recruits, Mae Tajima and Sarah Cruz. Their guest players will be Ariel Patnongon and their Thai guest player, Kesinee. And so far we only have 7 teams for the 2nd conference. Here are the tentative participating teams. yesszzzzz!!! !thanks coach! !we can now shout for go uste once again!!! ONE BIG FIGHT!!! GO ATENEO! tyak na malakas ang baste ngayon dahil nandyan cna bernal at bualee ang guest player kc d na pwede cna roces at macatangay dahil nagsasanay cla para sa vietnam. sana ipapalabas sa STUDIO23...pangit pag di LIVE!! when is the official date of the second conference of the v-league?